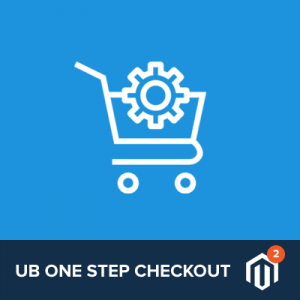 We are excited to announce that UB One Step Checkout is now part of Magento 2 Extension Bundle. 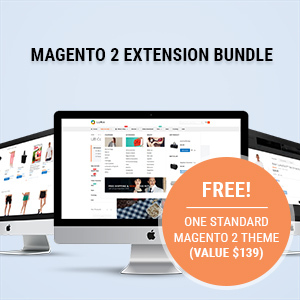 By subscribing to this ultimate Magento 2 Extensions Bundle, you get access to all of our premium Magento 2 extensions at a hugely discounted price. And this offer is only for a limited time! 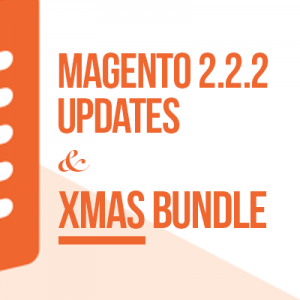 For just $399 you receive $1065 worth of premium Magento 2 extensions. That’s 63% off our standard price! Magento 2 employs backend caching at many levels within the system -- File System (default), Database, Redis and Varnish, which is used to store web pages to speed up the load processes and improve your Magento 2 site performance. 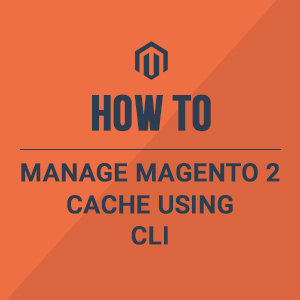 In this post, we are going to introduce a couple of handy CLI (Command Line Interface) commands -- one of the simplest methods to manage your Magento 2 cache. We will also make a short overview of Magento 2’s default cache backend solution -- file system; the difference between cache:flush vs. cache:clean. We just pushed version 1.0.2 stable out for our [M2] UB One Step Checkout extension. This new release adds the Delivery Date & Time functionality, House Security Code, enhanced Delivery Note to the core. Let’s dive in to learn in more details. 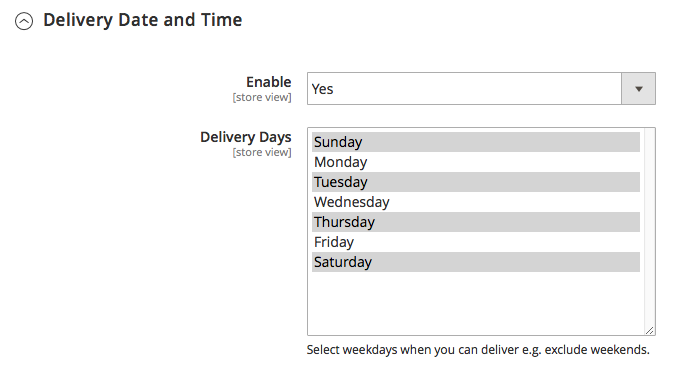 With the new delivery date & time functionality in UB One Step Checkout ver 1.0.2, you -- as a Magento store owner -- can set allowable days for order and create multiple time ranges for delivery. For instance, your online grocery shops just do delivery on Monday to Friday, then you want your customers not to select the weekends which you can not deliver. Under this circumstance, you simply enables only the required delivery days and unselect the weekends. Building a frictionless checkout is a must, and is something that takes time and a lot of consideration. The Baymard Institute found that almost 28% of people abandon the checkout cart due to a long or complicated checkout process. There has been a number of ways to reduce such shopping cart abandonment rate for your Magento store, and this has a huge amount to bear in mind depending on the checkout solution you choose. UB One Step Checkout is a great alternative for native Magento 2 checkout that does the heavy lifting for you to prepare a clean and optimized one-step checkout solution. 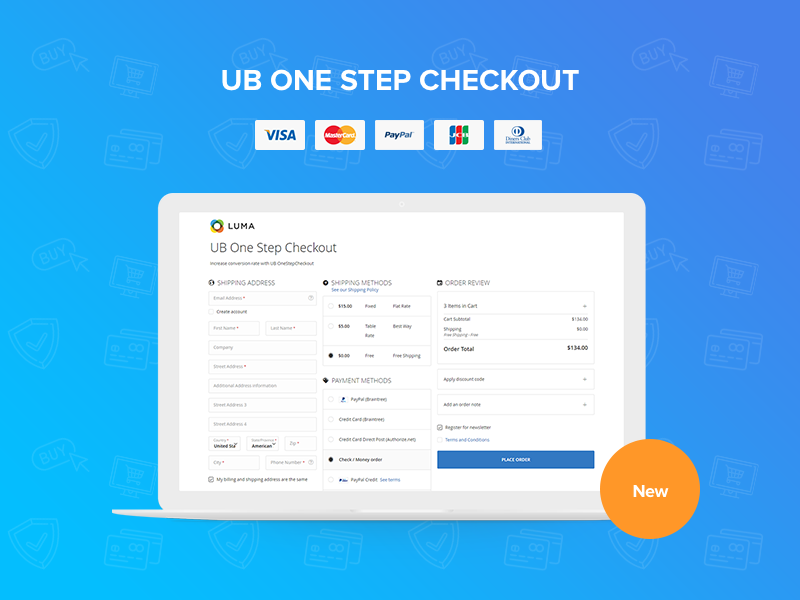 Aug 30, 2018 Update: UB One Step Checkout version 1.0.4 released. 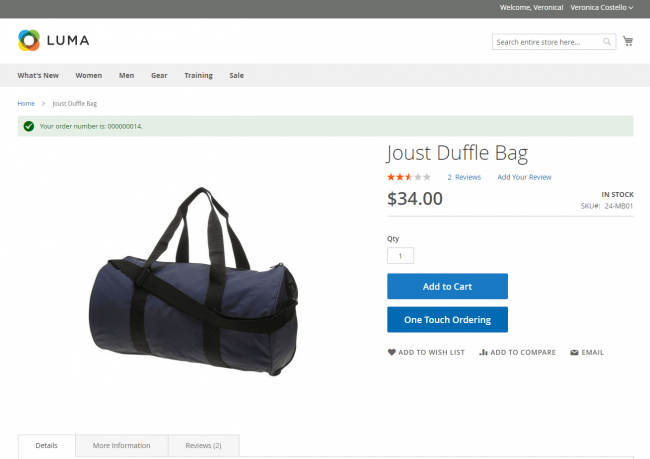 It now allows to change product variations of the configurable products in the mini cart at the checkout page, plus other incremental updates. July 6, 2018 Update: UB One Step Checkout version 1.0.2 Stable has been released, enhanced with Delivery Date & Time functionality, House Security Code (optional) and fully compatible with Magento 2.2.5. May 15, 2018 Update: GeoIP2 API integration is now available in UB One Step Checkout. It helps detect customer address automatically based on the IP address. 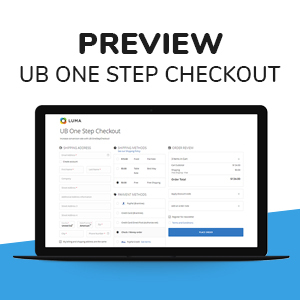 Today is an exciting day for me because I get to announce the release of a brand new Magento 2 one step checkout extension at Ubertheme -- UB One Step Checkout (beta), that we have been working on for quite some time. 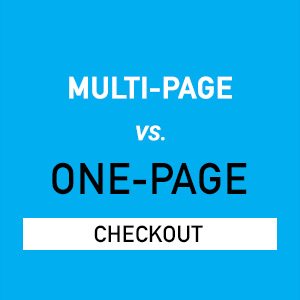 The Magento 1 & 2 are great for a lot of things, but building an effective one step checkout page is not one of those things. It can be downright frustrating when working with six-step accordion checkout process in Magento 1.x. 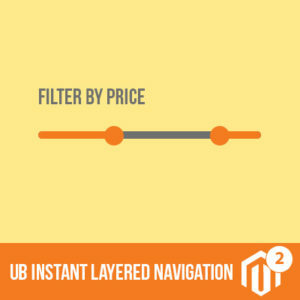 Getting maximum value from the reduced two-step flow in Magento 2 can be challenging as well. Hence, we committed to building our new UB One Step Checkout. You will get a complete checkout solution that makes it easier than ever to build a one page checkout in Magento 2. 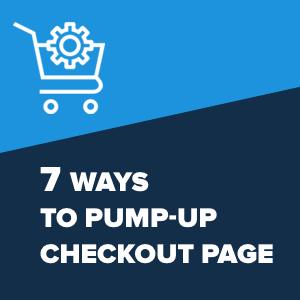 The ultimate goal is to help you maximize successful checkout transactions. So what to expect from the all new UB One Step Checkout? Here are some of the cool features that will be rolled out on the initial release. UB One Step Checkout has just arrived! Also packed with GeoIP2 API integration which helps detect customer address automatically based on the IP address. The extension is currently available for purchase and update in our Magento 2 extensions store. Over the past 5 months we have been hard at work building an all new Magento 2 extension at Ubertheme. 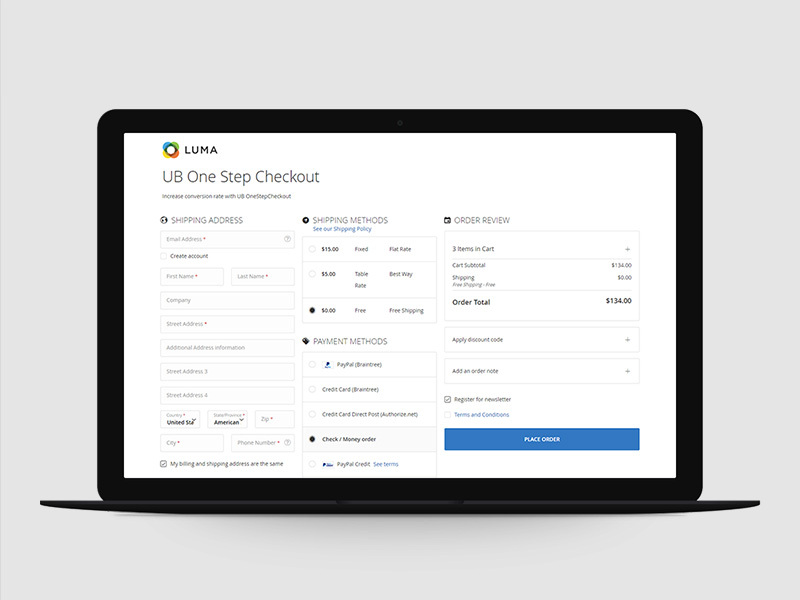 Today we are introducing a sneak peek the UB One Step Checkout, a modern Magento 2 checkout extension that helps you place all checkout steps on one page with easier configuration. With UB One Step Checkout, we set a new milestone in our goal to create powerful yet simple solution for buiding your Magento 2 stores. So what to expect from UB One Step Checkout in the coming weeks? 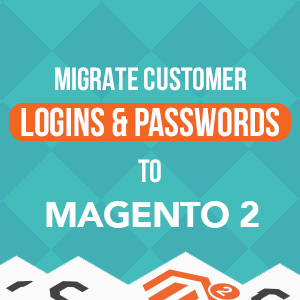 How to migrate only Customer logins and passwords to Magento 2? Customer data is one of the most important elements -- especially when migrating from Magento 1 to Magento 2. What if the transfer doesn’t go smoothly? In eCommerce one of the worst scenarios is that the migrated customers may be unable to log in to the new Magento 2 instance. Getting started with the customer data migration can be intimidating, but with a right migration tool, the process isn’t as hard as it seems. Fortunately, our UB Data Migration tool makes this very simple.